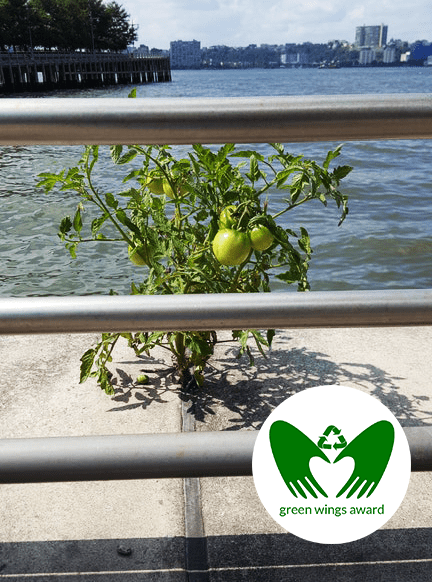 This week’s Green Wings Award goes to the Tomato Plant growing out of the sidewalk by the bay. For this Tomato Plant, a sidewalk is not only a non-issue, it seems to be an ideal growing spot. Look at that fella thrive!